The former director general of the CBI has predicted that most of the pressure put on Brussels to accept the Prime Minister's Brexit deal will come from the Germans - not the UK. 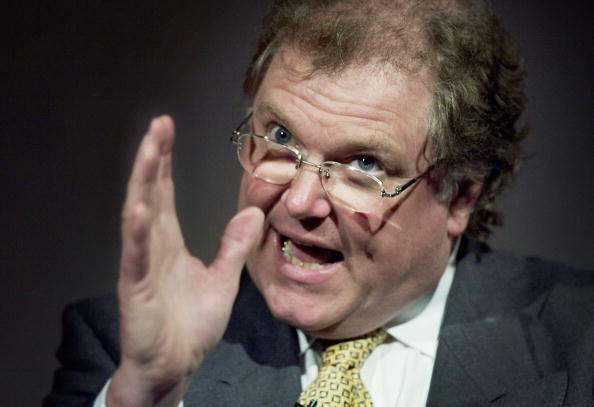 Lord Digby Jones claimed Germany had more to lose from a no-deal Brexit during an appearance on the breakfast show with Julia Hartley-Brewer. "We're the biggest home for German exports in the EU, and we're the biggest home for profitable German exports in the world. They make more margin on us than anyone else," he said. "There's going to be a huge drive in the next 40 days to say to Barnier in Brussels 'Don't do this', and it won't come from us - it'll come from the Germans." The cross-bench peer dismissed reports that the UK had "more to lose" from a no-deal than other EU members. "The people who say we've got more to lose than they have... no we haven't!" Lord Jones said. "We're the biggest home for French agricultural produce in the world, and whilst the Germans might flee, the French farmers will put 47 kilotonnes of you know what up the Champs-Élysées." He added: "We must go to Brussels saying 'You've only got to tweak this and the deal will be done, but if you don't tweak the agreemnet, we'll come out', and they must understand we mean it."